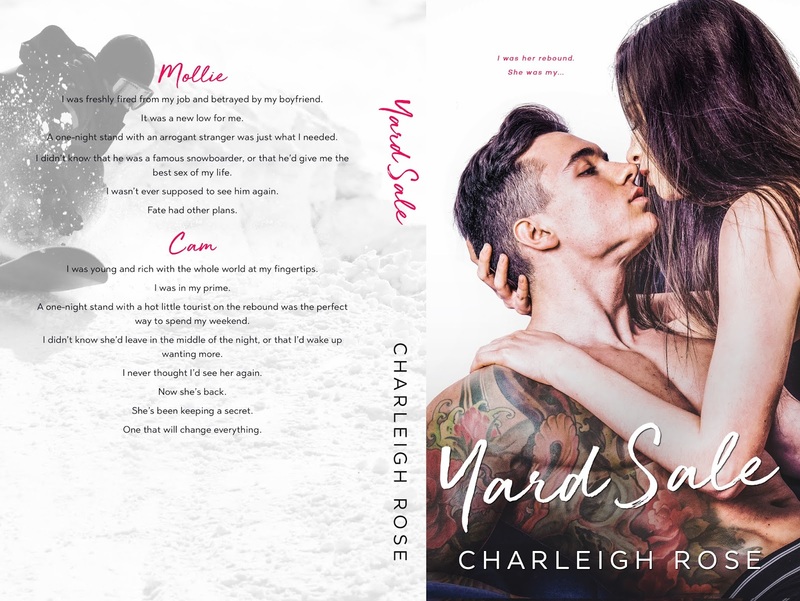 Charleigh Rose has easily become one of my favorite authors and I can always count on her books to bring angst and a whole lot of steam. I am happy to report that Yard Sale, though a novella, managed to bring plenty of both! After losing her job and her fake boyfriend, Mollie needs something to take her mind off of her failing life. And one night with a bad boy is just what she needs. She was never supposed to see him again. Unfortunately, Mollie has a secret that Cam, the snowboarding bad boy she hooked up with, is bound to uncover. And that secret will connect them forever. Right from the start, this novella brought the heat between Cam and Mollie. I loved how insistent Cam was and how he would not take no for an answer from Mollie. Their banter was so fun and things definitely heated up between those two! I will say, during the time jump, it was a little hard to believe the emotions Cam and Mollie felt for one another had progressed that quickly in such a short amount of time that they knew each other. This is a novella, so things do progress quicker than they do in normal novels, but I think that the emotional level of their relationship progressed too fast for my liking. Overall, this was a hot and fun novella that had everything I love about Charleigh Rose's writing. I loved the setting at a ski resort and how complex these characters became in such a short amount of time. When I was done, I was only left wanting more!